Rosé is THE drink of the summer. As we've mentioned before, a good rule of thumb for pairing Rosés with food is to remember "Pink & Provençal". Easy enough since that describes Rosé itself. Our sales rep Patrick Harney used that advice when he hosted a Rosé Cookout for Bacchus Importers' Maryland Sales Team. Read more from Patrick to learn how and why he came up with the idea, why he thinks Rosé is so popular, and some of his favorite recipes to pair with Rosé. "Summertime for me means summer camp. I think about how my kids learn in summer camp versus how they learn in school and sometimes I wonder whether the experiential learning they enjoy at camp isn’t more effective than the methods employed by their schools. There’s a lot to be said about making a point experientially. Too often we stand in front of our wholesale sales teams and deliver Powerpoint presentations chock full of features and benefits in hopes that as a result, sales will magically increase. When Beth Kostelnik (my then Brand Manager at Bacchus) told me I should have a rosé dinner and take lots of pictures and put them on social media, I thought what a terrific idea that was...even though I am seriously social media challenged. I later decided to expand on that idea and make the sales team at Bacchus a Rosé-centric lunch. I thought the team could benefit from how wonderfully Rosé works with Provence-inspired dishes and thus be able to share the experience with their retail and restaurant customers. 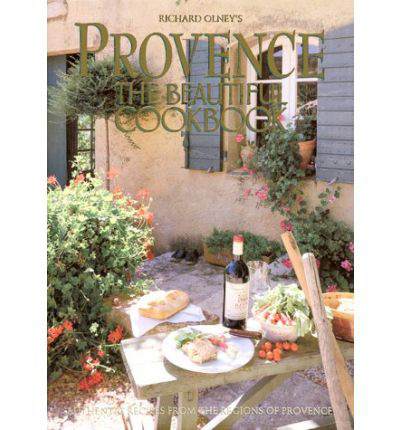 The dishes were all adaptations from Richard Olney’s Provence cookbook--a really terrific book full of pictures and easy to follow recipes. I did most of the prep at home on Thursday evening. On Friday, grilling commenced out near the loading dock while the sales team went into their meeting. Once done, everything was set up buffet style in the kitchen, the sales team served themselves and we shared lunch together back in the sales room. I started the discussion by sharing some of the latest IRI data clearly showing the incredible growth of both the Rosé category and many Vineyard Brands’ Rosés in particular. After tossing some numbers around I explained why I chose the dishes to be served and the geographic and cultural ties that Rosé had to Provençal cuisine. The discussion turned to more of roundtable forum discussing favorite Rosés and specific food pairings. We, of course, talked a lot about food…who, in our business, doesn’t love to eat? We came around to how casually but effectively Rosé is able to pair with all kinds of food in general and how maybe that’s the real reason behind the incredible growth of this type of wine. Many years ago, I attended an organized Pinot Gris and white varietals tasting conducted by Erath of Oregon. The tasting used various samples of food to illustrate the versatility of Pinot Gris, how it is able to pair with cheese, vegetables, protein, etc. It was very well done and their point was effectively made. I recall at the time thinking that this was perhaps the reason behind the baffling rise in the popularity of Pinot Grigio. Certainly the tastes and preferences of wine consumers always seem to be downright mysterious and I think many of us professionals tend to underestimate them. I think the rise of Rosé and the continued success of Pinot Grigio show that consumers embrace wines which are fresh and easily approachable yet show a refined ability to pair well with many different types of food. While we can talk forever as to what works and why in our business, sometimes the best way to understand it is by sharing in the experience. I think that’s what was accomplished at the Rosé Cookout. Beyond that, the rosé cookout was a great way to really connect with the Bacchus team. Sales reps are used to having suppliers buy them lunch, so they are more deeply touched when the supplier actually makes them lunch. They appreciate the extra effort and care which comes with doing more than merely whipping out a credit card." You can find the cookbook Patrick used on Amazon. If you'd like more recipes to try with your favorite rosé, check out our blog post on rosé and food pairings here. As I planned for Maria Innocenti’s visit to the Baltimore market not long ago, I was hesitant to set up yet another wine dinner. They occur far too often in our market and it goes without saying that the consumers often grow weary of them resulting in poor turnouts and lackluster sales as a result. Something different needed to be done. Luckily, a crazy chef-friend of mine, Jerry Pellegrino, had just opened up a cooking school named Schola with partner, Amy von Lange, the not so crazy part of the duo who keeps things organized. The cooking school is located in a townhouse in the Mount Vernon neighborhood of Baltimore. A few blocks away is nice little wine shop named Spirits of Mt. Vernon run by Vicky Schassler, the unofficial mayor of Mt. Vernon. The plan was to conduct a cooking class featuring the Cuisine of Argentina using the wines of Angulo Innocenti. With a date set, Vicky sent word to her customers about the upcoming class. It sold out in 4 hours. Jerry asked if Maria could send some family recipes for some of the menu items. Maria sent a terrific recipe for Empanadas which were a staple during her Sunday family dinners. Things were starting to get interesting. On the evening of the event, guests arrived and the corks on bottles of Alma Negra Sparkling Brut started to pop. Jerry brought the group together to give us a rundown on how the evening would shape up: The group was to divide into smaller groups assigned to preparing different parts of the meal, this would take about 1-1 1/2 hours. After prepping the double cut Ribeyes and smashed potatoes would go into the oven and the prep tables would be cleaned up and set for dinner. Needles to say the evening was a blast. We all donned aprons, washed our hands, pulled corks on the Angulo Innocenti Malbec and Cabernet and set to work. Most of us got to the task of rolling Empanada dough while preparing the filling and then folding them. Maria was a terrific instructor and moved about the kitchen showing guests the finer points of making the Empanadas and answering questions about her wines. Others worked on a rub for the Ribeyes while a few guests were just content to sip on wine and chat. It was amazing sipping on the savory flavors of the Malbec and Cabernet while the aromas of roasting Empanadas and Ribeyes wafted through the kitchen. One doesn’t get that experience sitting in the dining room of a restaurant. Jerry and Amy worked behind the scenes doing the heavy lifting to make sure all parts of the meal were coordinated. Magically, everything came out of the ovens perfectly cooked as the kitchen had transformed into an elegant dining room. Bottles of the ’10 Unisono were opened and everyone sat with their newfound friends and cooking partners to a magnificent meal. Maria spoke a bit about her family’s estate and the guests by then felt as if they were members of the Innocenti family. While a ton of wine was sold as a result, more importantly, we all enjoyed a wonderful experience and learned a thing or two about cooking. Food & wine lovers rejoice! There’s even more to love this year at the 6th annual Wine and Food Festival. This year’s event will feature more than 200 wines & spirits, celebrity chef demonstrations, NBC TODAY show personalities, dinners, tastings and the Party Line Connoisseurs Tent. The tent will hold exclusive tastings of the finest world-class wines and top restaurants, and Vineyard Brands is lucky enough to be a part of the action! The festival will take place from Wednesday, June 8th until Saturday, June 11th and is expecting over 5,000 people. Who wouldn’t want to be a part of the action? It is truly an experience unlike any other. Westchester Magazine’s Wine and Food Week has been organized to promote and support the Friends of Westchester County Parks Department and the Food Bank For Westchester not-for- profit organizations.